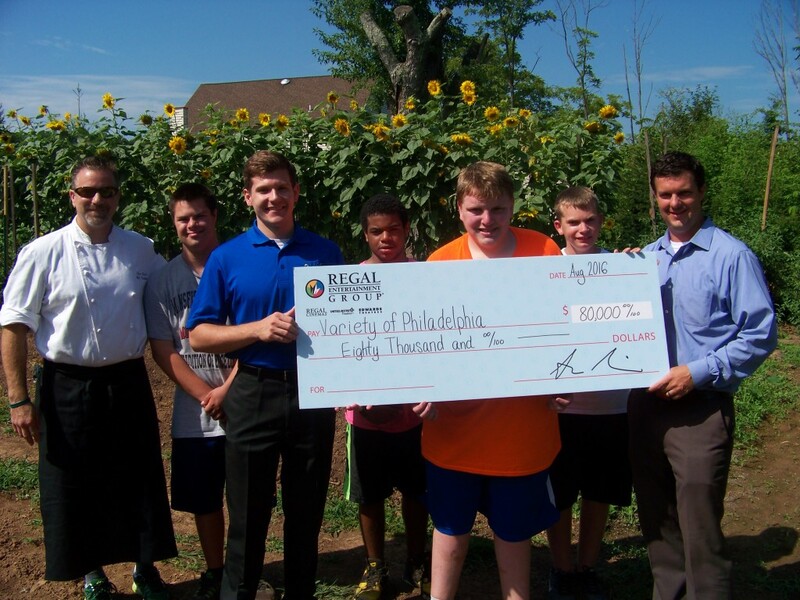 Turning silver screen entertainment into silver linings for disadvantaged children and youth with disabilities, the Regal Foundation has awarded $80,000 to Variety-The Children’s Charity of the Greater Delaware Valley. With this grant, Variety will be able to offer scholarships to children with physical and developmental disabilities who would otherwise not be able to reap the benefits of the summer camp experience. “We often think of summer camp as just an avenue of fun and recreation for kids, but the camp experience at Variety includes many opportunities for our kids to get physical exercise as well, be it through swimming, tennis, golf or any other number of activities we make available,” said Angus Murray, CEO of Variety-The Children’s Charity of the Greater Delaware Valley. In addition to the advantages of being in the great outdoors, via this funding children with special needs at Variety Club Camp will also have an opportunity to learn about healthy eating and how to grow plants and use fresh produce through Variety’s greenhouse and garden program.